Description: Climbing, sea sawing, turning around and resting. Everything is possible with the basic-component of Hally-Gally. 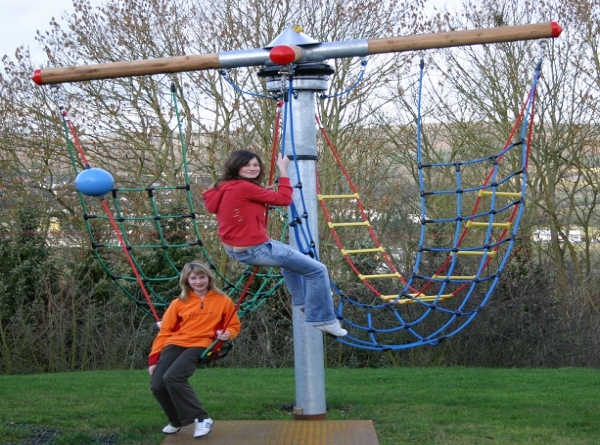 The devices can easily be varied just by changing the playing-parts as nets, ladders, rings etc. Especially for children from 5-15 years.